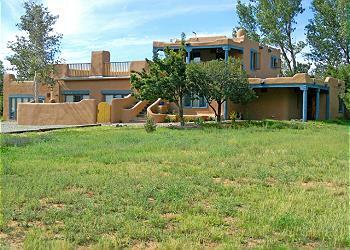 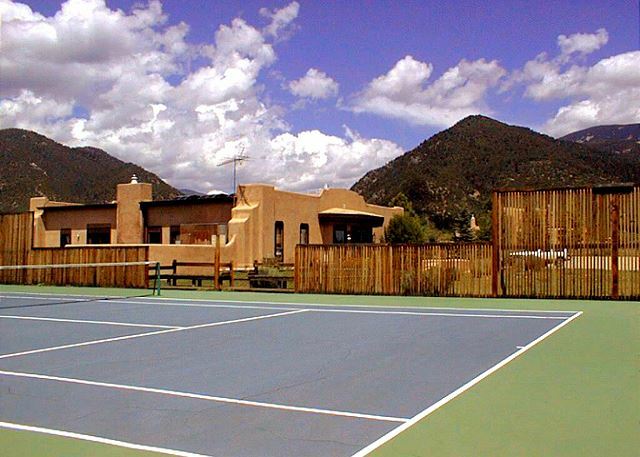 La Maison West of approximately 900 square feet, enjoys the privacy of a separate adobe walled enclosed courtyard behind two custom crafted gates. 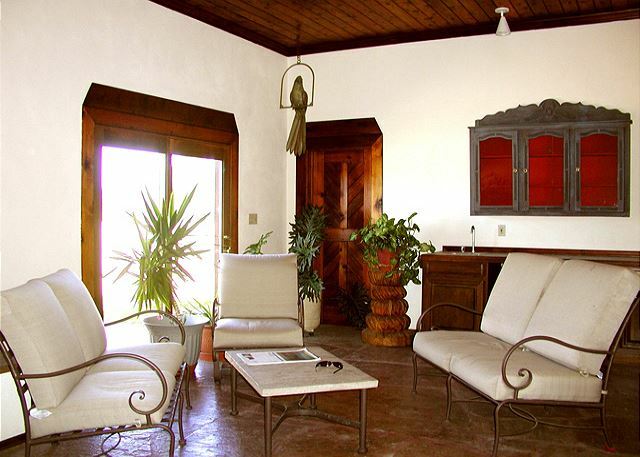 La Maison West has a king size bed, with a custom designed and hand crafted headboard and in-suite full tub / shower bathroom with a separate water closet with private sink and commode. The bathroom commode is buffered in an enclosed water closet accessible from within the master bedroom and from the great room for nighttime guests via the laundry room, providing convenient nighttime privacy for both parties. 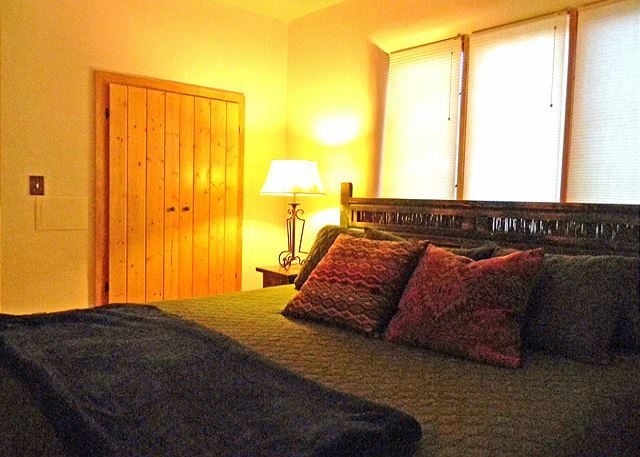 The living room boasts a "state of the art luxury sleeper sofa" by "American Leather Comfort Sofa's" that becomes a queen bed acclaimed by past guests to be, "The best night's sleep ever" and "Better than most beds". The great room with open kitchen is adjacent to the shared utility / laundry room with washer and dryer. 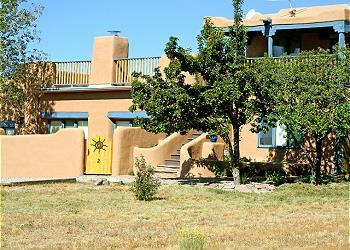 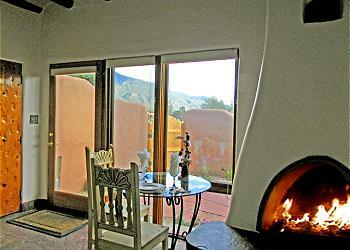 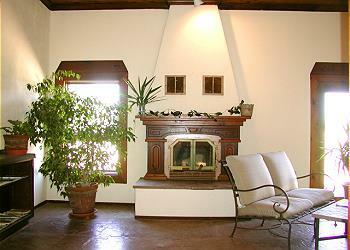 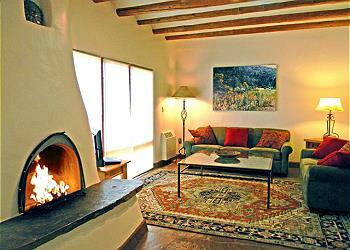 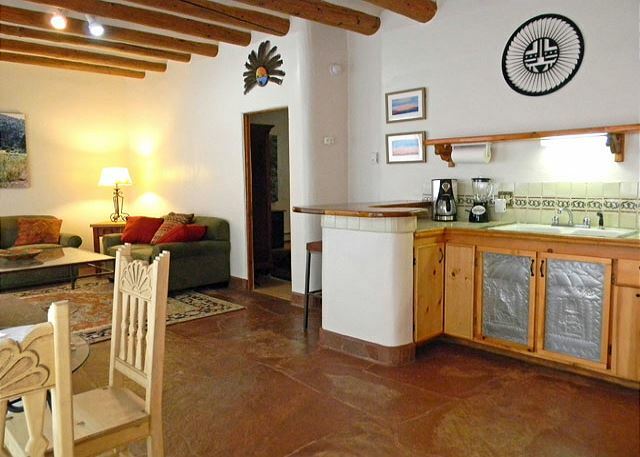 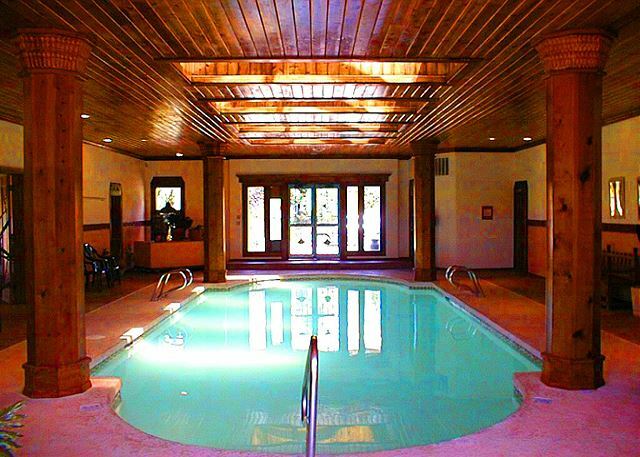 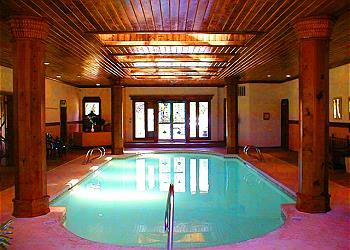 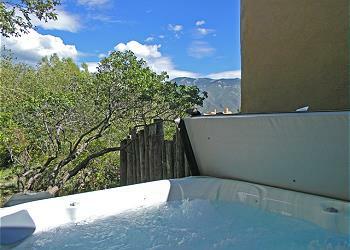 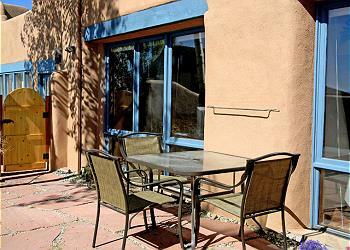 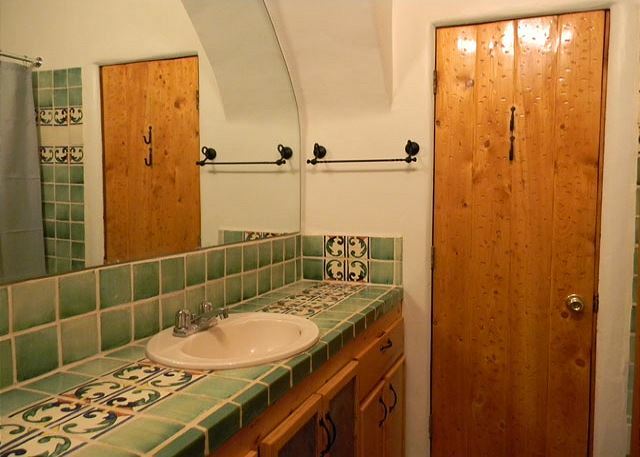 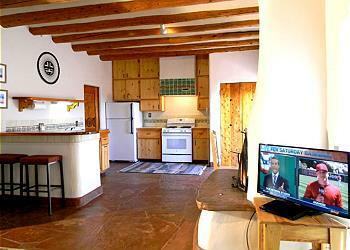 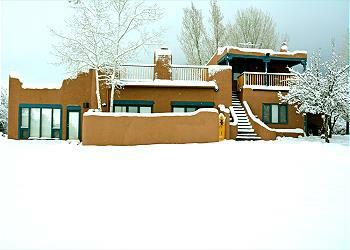 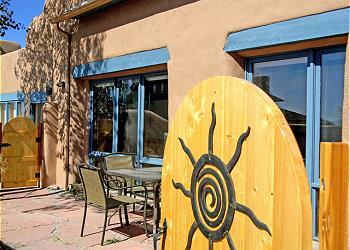 The launddry room conveniently leads to an outdoor flagstone walkway, "acequia" stream, and shared hot tub. 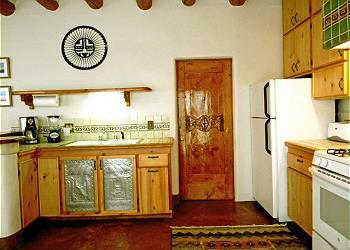 The word "acequia" refers to the historic irrigation system unique to the state of New Mexico. 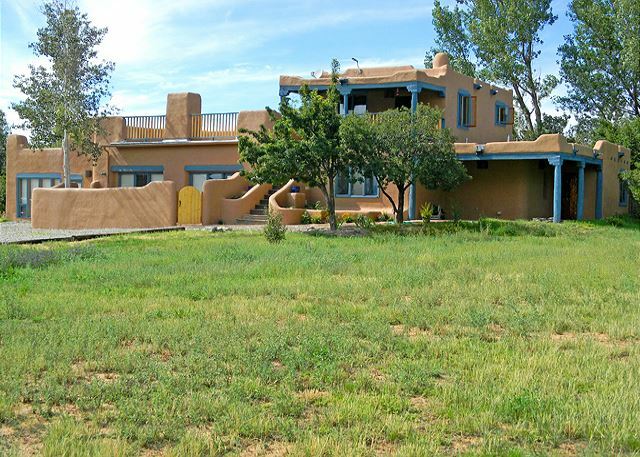 Thousands of miles of irrigation streams (more commonly referred to as the "ditch" by locals) traverse the New Mexico landscape allowing desert farming throughout the state. 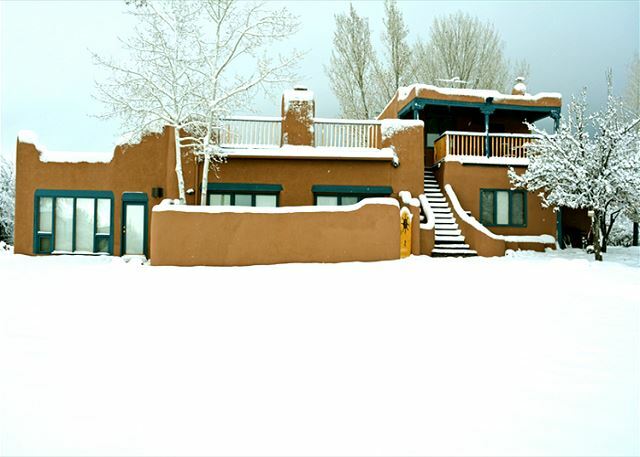 Treat yourself to a "great read" with "Milagro Bean Field War" by author John Nichols or google the movie, of the same name, directed by Robert Redford in 1988. 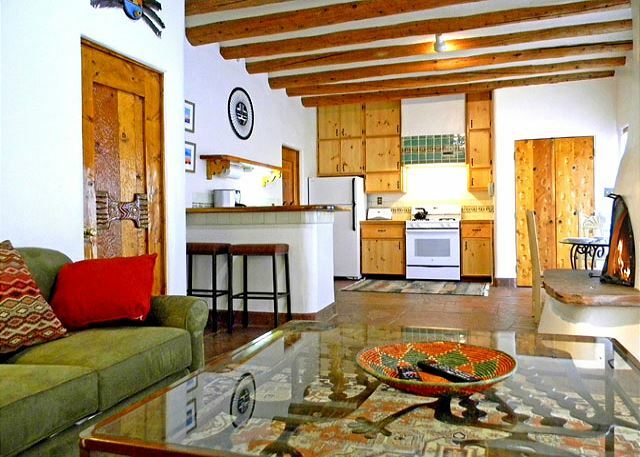 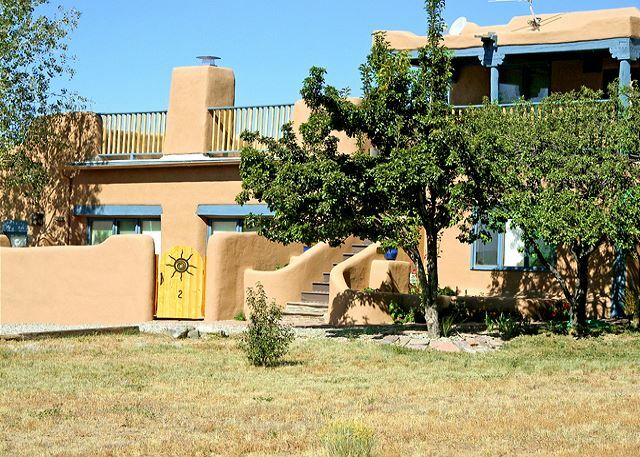 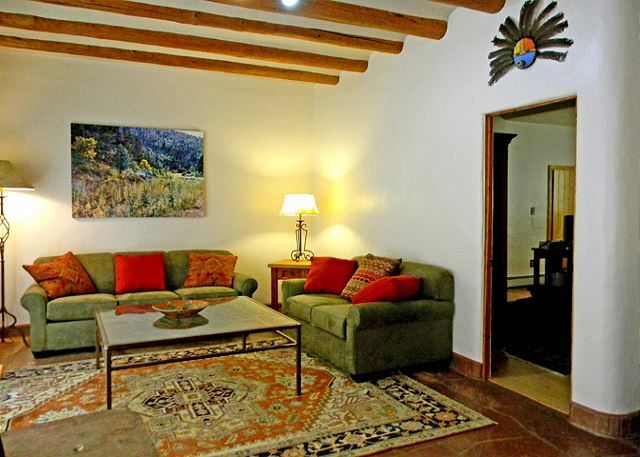 Hearing this compelling tale will add an amazing dimension to your New Mexico vacation and will be especially highlighted with your stay in this acequia streamside vacation rental.